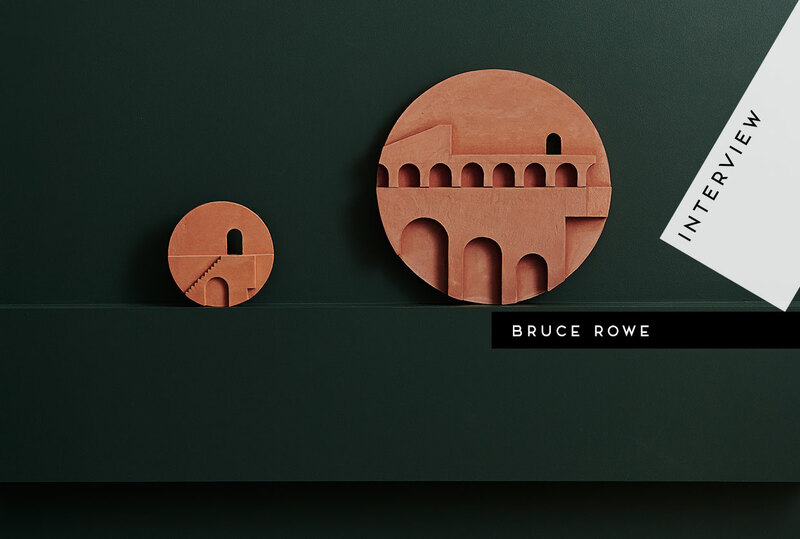 Bruce Rowe is the founder of , a Melbourne-based design studio that operates in an applied research, prototyping and product development capacity. The studio places well designed, high quality products, made by hand with love and care, at the heart of its endeavour. Anchor’s design process is collaborative, experimental, iterative and rigorous and exploits both contemporary and traditional technologies and tools. 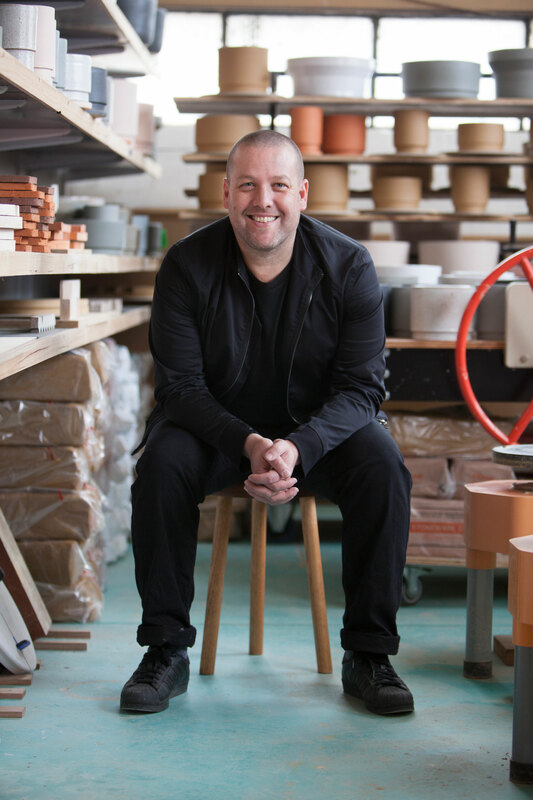 Rowe’s design and making expertise is central to the development of the studio’s output. The design process begins with drawings, models, prototypes and material exploration. 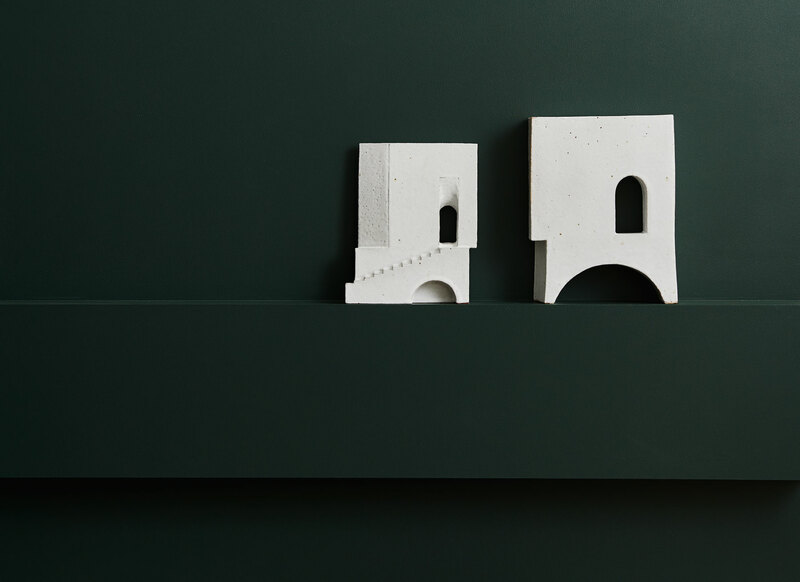 This work is developed in-house or closely with specialist ceramic and technology experts to create beautiful, handmade pieces including tiles, lighting, outdoor and furniture product lines. 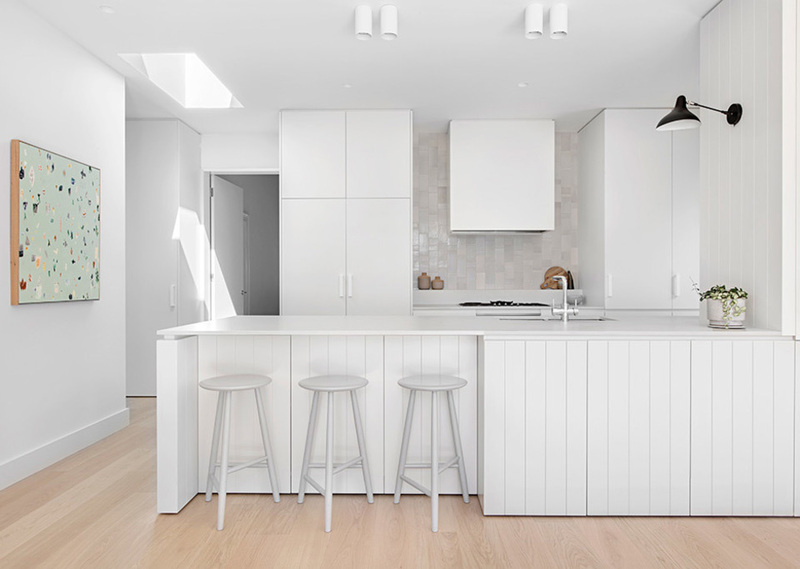 In addition to his background in art and design, Rowe was trained in Architecture at The University of Western Australia, graduating with Honours in 2001. 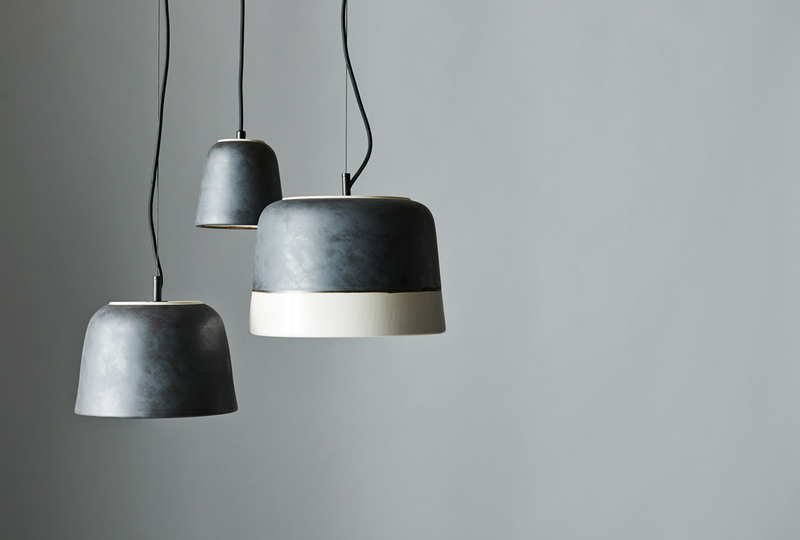 Across 20 years of professional creative life, Rowe has focussed on developing a working methodology that looks to integrate the act of designing with that of making. He has contributed to architecture and design education design studios at RMIT and The University of Western Australia for over a decade. 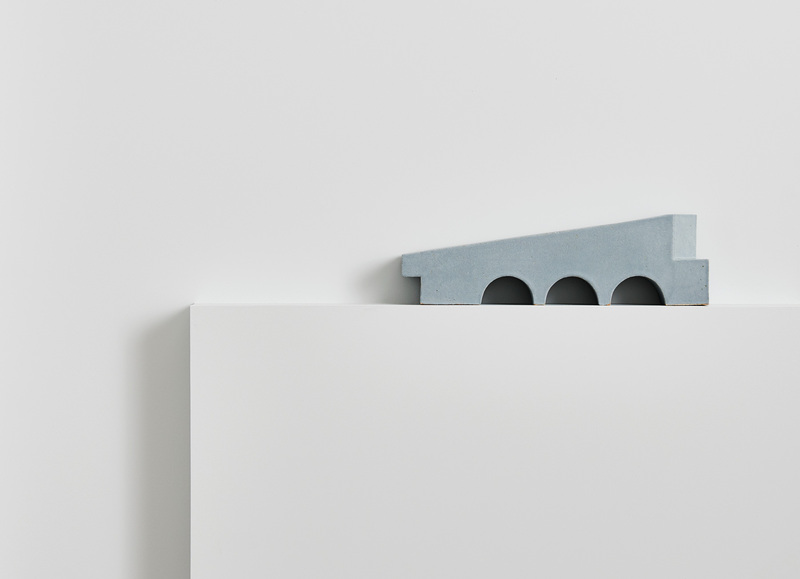 Bruce’s highly anticipated second solo exhibition, Structures II, will open at Hub Furniture in Melbourne on November 24th. Related Post: Bruce Rowe’s ‘Structures 2015 – 2016’ Exhibition. 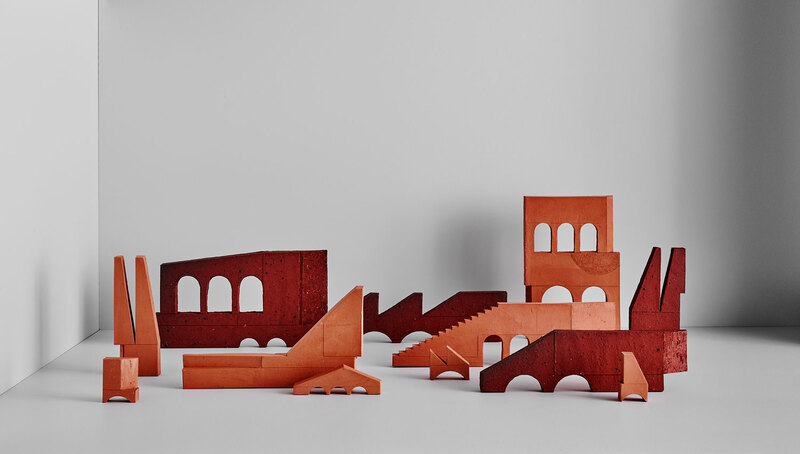 Pieces from Bruce Rowe’s upcoming Structures II Exhibition. Photography by . + Hello Bruce, welcome to Yellowtrace and thank you for taking the time to e-chat. Could you please give us a quick introduction on yourself? How did you become interested in architecture? I’ve always been drawn to the physical making of things; the world of three dimensions rather than two – exploring form and surface. Following my initial studies in Design at Curtin University in WA, I made small sculptures for some years; works that interrogated a sensorial response to both space and place. 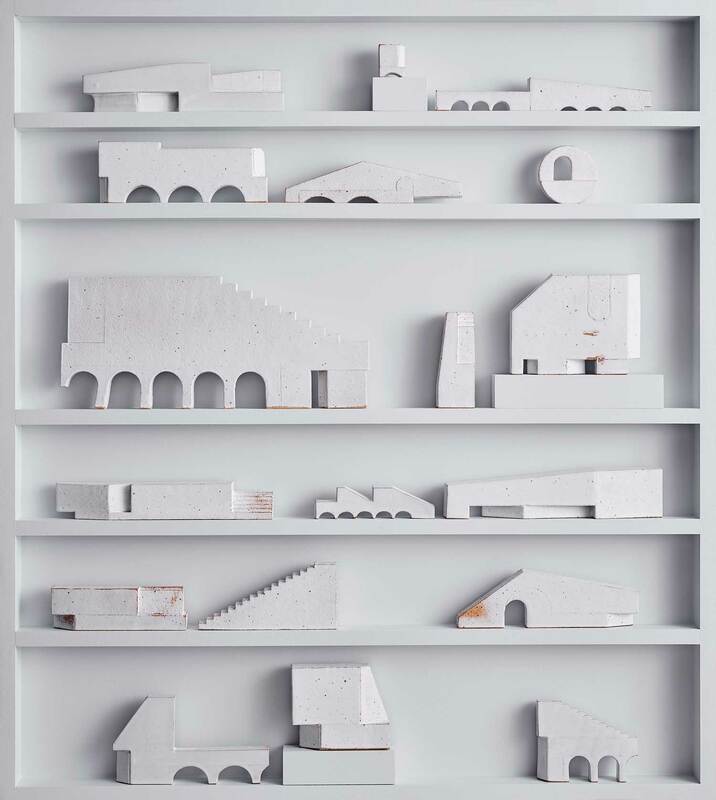 Over time, these works grew in scale and complexity, becoming small built spaces in their own right. Ultimately, I reached a point where my knowledge of how to craft and build space was just too limiting to allow the work to develop. 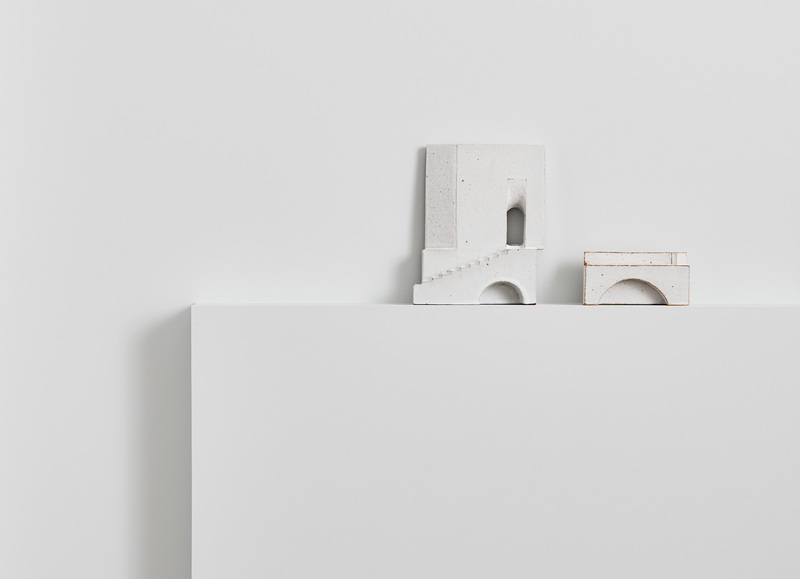 Through these sculptural works, a desire to know more about how to design and make the sensorial qualities of space and the ways in which one experiences those qualities, drew me to study and practice architecture. Portrait of Bruce Rowe. Photo by . 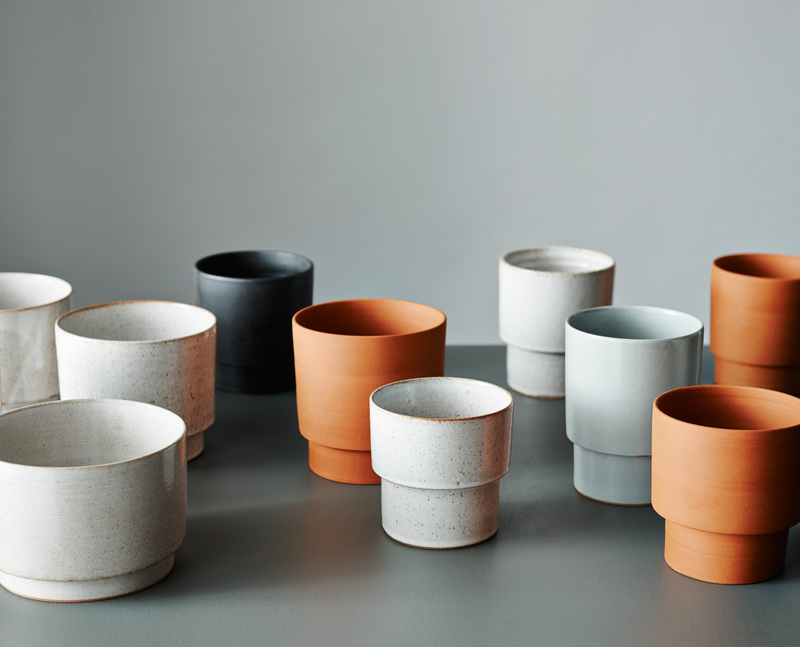 + At what point did you decide to pivot in the direction of product design and ceramics etc? In late 2010, I began to think about the possibility of translating some painting studies I had done into ceramic surfaces. 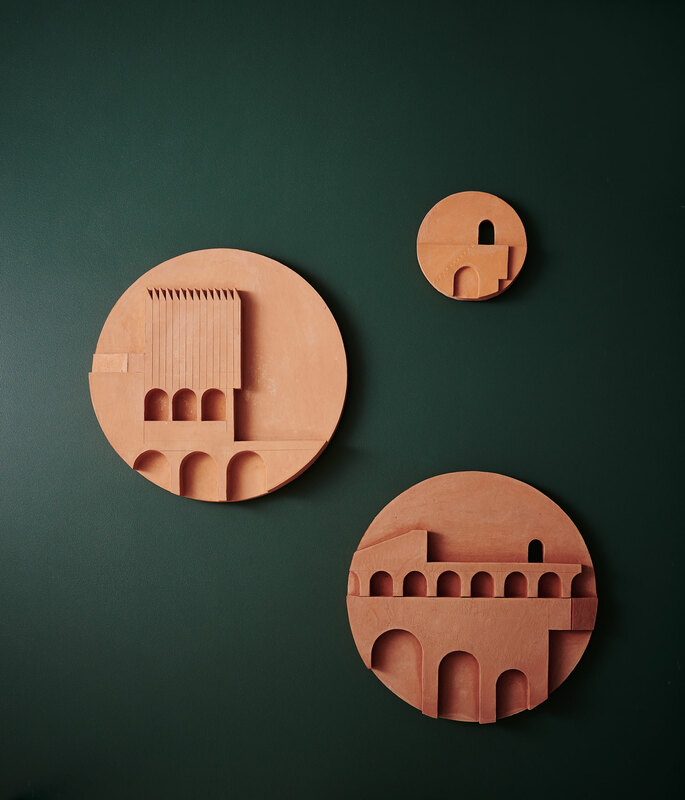 I hadn’t been exposed to ceramics before, but through architecture and working regularly with brick as a building material, I had an intuitive desire to work with clay. After a serendipitous meeting with a potter, I enrolled in a beginners’ wheel throwing class. Learning to throw on the wheel for the first time was initially unfamiliar, but early on this changed – I felt as if I was remembering a forgotten skill rather than learning a new one. The night classes were an essential grounding but it became clear that I needed to make ceramics a more central part of my creative life. 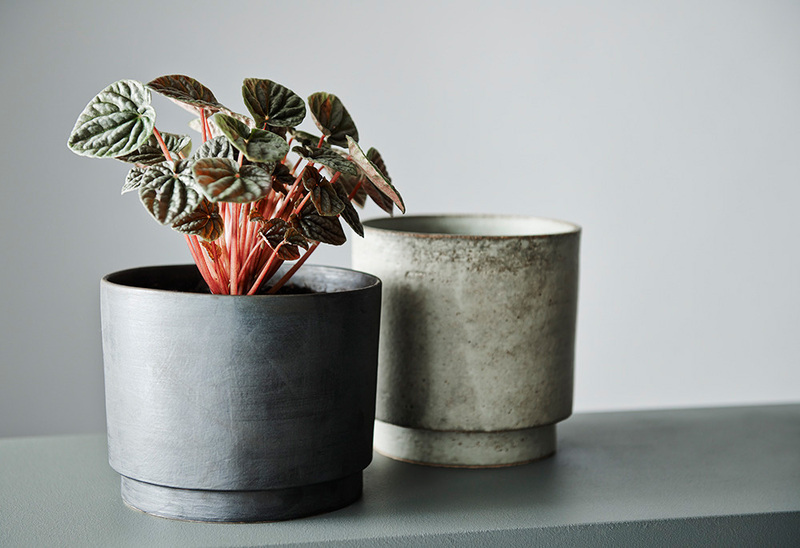 I purchased a wheel and not long after moved into a dedicated studio; Anchor Ceramics has unfolded somewhat organically from there over the last three years. The work we are doing through Anchor exists, and is made possible, through the sum total of these past endeavours in art, design and architecture. 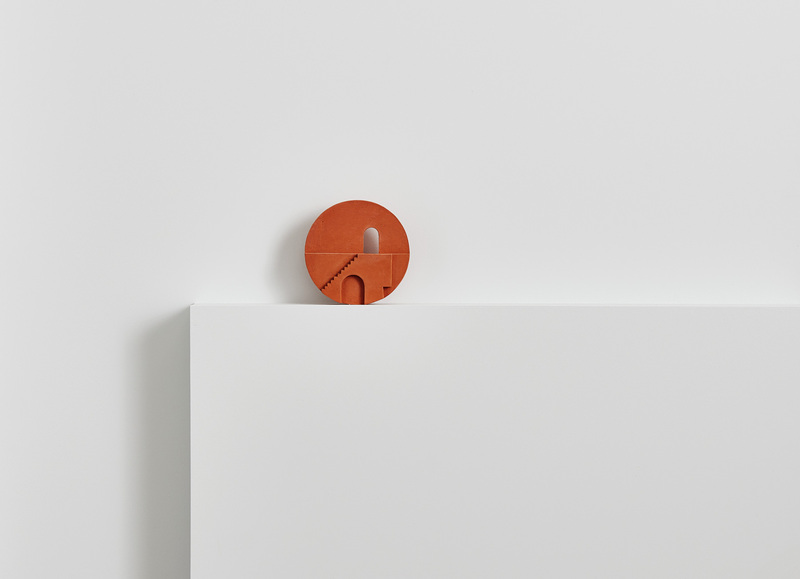 I find it increasingly challenging to draw clear distinctions between what traditionally have been well defined pigeon holes of creative activity – design, art, architecture, craft – it really is in the overlaps and the intersections between these disciplines that I find the most rewarding creative territory. Earth Light. Photography by . I don’t have a prescribed way of doing things. 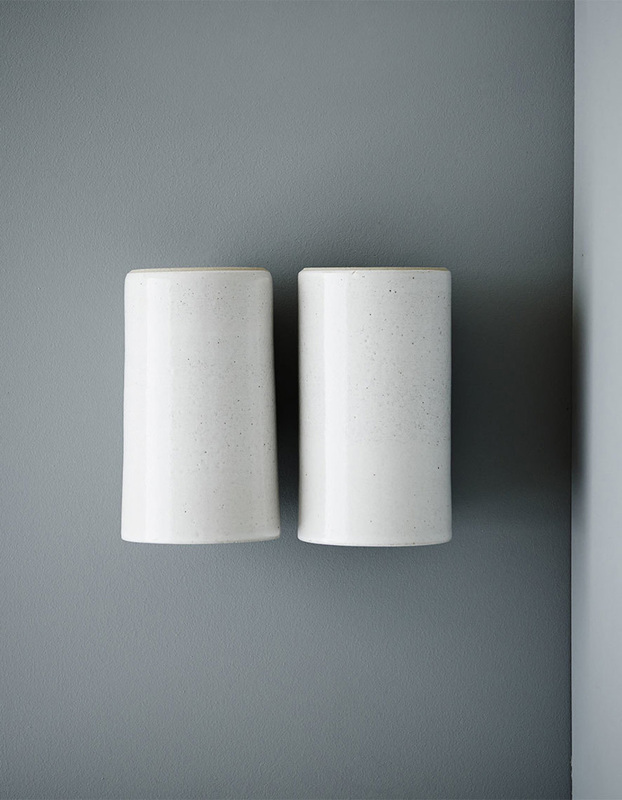 I’m motivated by form, quietness, light, materiality and beauty and it’s these qualities I aim to see authentically reflected in what we design and make at Anchor. Anchor is built on a model that places well designed, high quality products that are made by hand with love and care at the heart of its endeavour. Our design process is collaborative, experimental, iterative and rigorous and we exploit both contemporary and traditional technologies and tools as our projects demand. I’m passionate about building a local design and manufacturing environment that is sustainable and robust; one that nurtures early career practitioners and continues to provide support for the established studios in our production network. Practically, this ethos guides almost every decision the studio makes; from where to purchase raw materials to the development of new products. 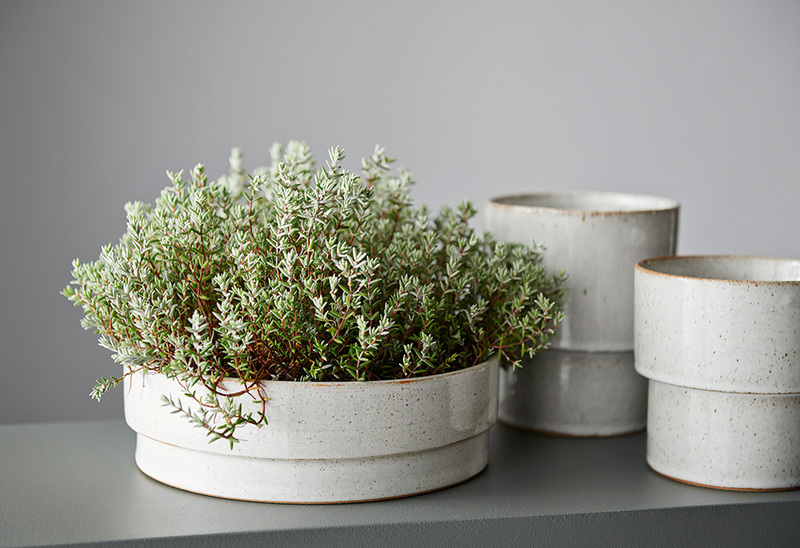 Handmade ceramic outdoor planters. Photography by Lisa Cohen. + What are your favourite types of product and projects? The projects and products I’m drawn to are diverse in their aesthetic expression and place in history. What links them is a common thread of the authenticity of the experience they offer to the user or occupier; an experience made possible through those same qualities of quietness, light, beauty and primacy of material that I seek to reflect in my own work. + What are your favourite materials and/ or finishing methods to work with and why? 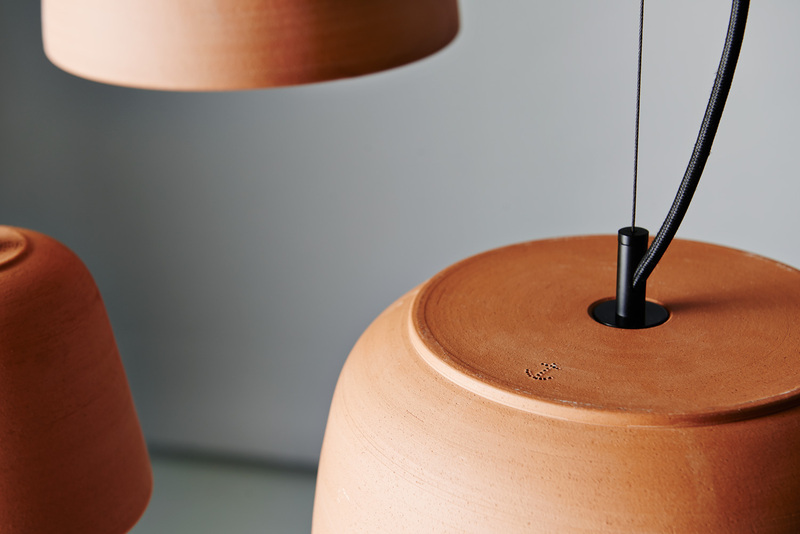 My favourite material is of course, clay, or more simply – the earth. 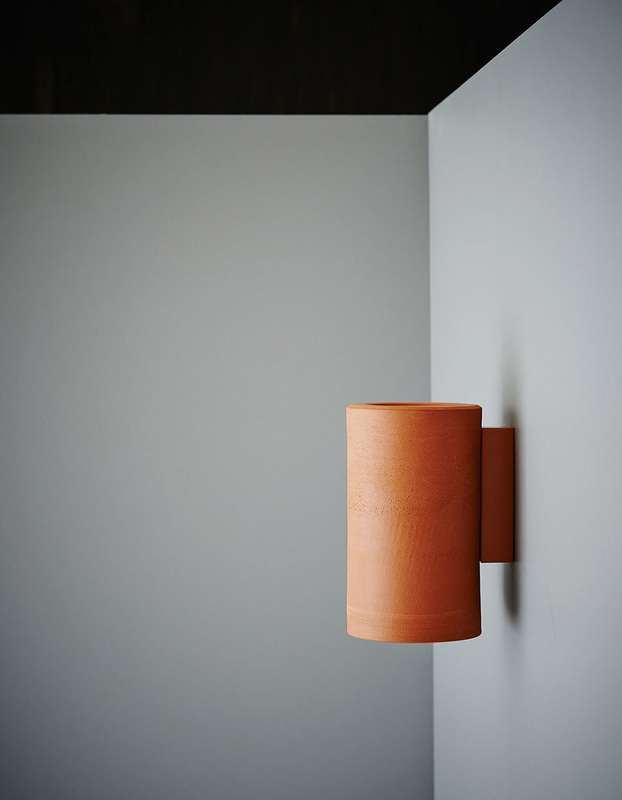 Anchor first and foremost is a design studio – how we might differ from other design studios is that in our case we’re exploring the limitless possibilities of one primary material – clay. I’m drawn to its plasticity, primacy, simplicity and immoveable silence. 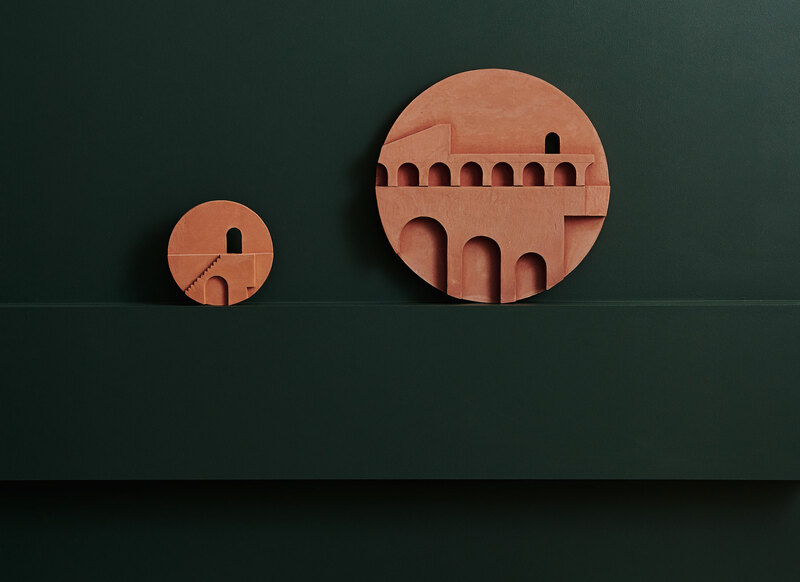 Making things from clay is as old as human existence, we inherently know it as lays beneath our feet and the objects made from it are imbued with this same grounded understanding. I’m continually inspired to be working in a contemporary context with one of our oldest and most basic of materials. Potter DS. 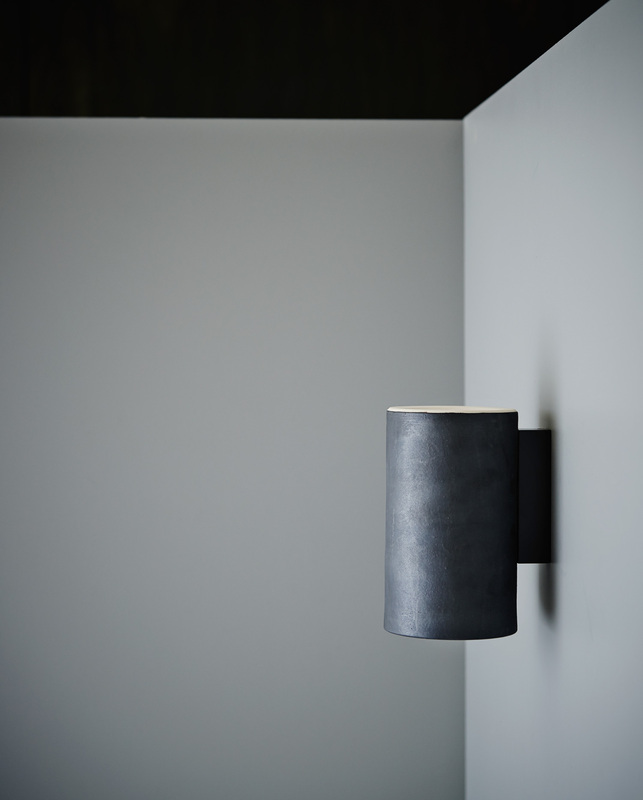 Ceramic linear wall lighting. Photography by Lisa Cohen. + Who or what are some of your influences? What other designers, peers and creatives in general do you admire? I admire people who hold a creative vision and seek to realise that vision. People with an unwavering commitment to creatively explore their chosen medium, place or subject matter. There are many people along the way who have inspired and influenced. vast body of exploratory portrait works across art forms, profound paintings, studies in colour and light, incredible built spaces, uncompromising commitment to realising a mountain sized vehicle to reflect on the phenomena of light are just some examples. 100 Cut Series tile. Custom Glaze. Photo by Lisa Cohen. 45 Cut Series tile. Custom Glaze. Photo by Lisa Cohen. + How do you organise and manage the competing demands of modern business and life? In the past I have felt all too keenly the lack of balance in modern working life. Now, I feel like what I’m doing is congruent and that Anchor is my life’s work. I wake most mornings with a genuine desire to get into the studio and get the day started. It feels like there’s a lot to look forward to and I find myself genuinely excited and grateful to be able to work creatively with good people on good projects. 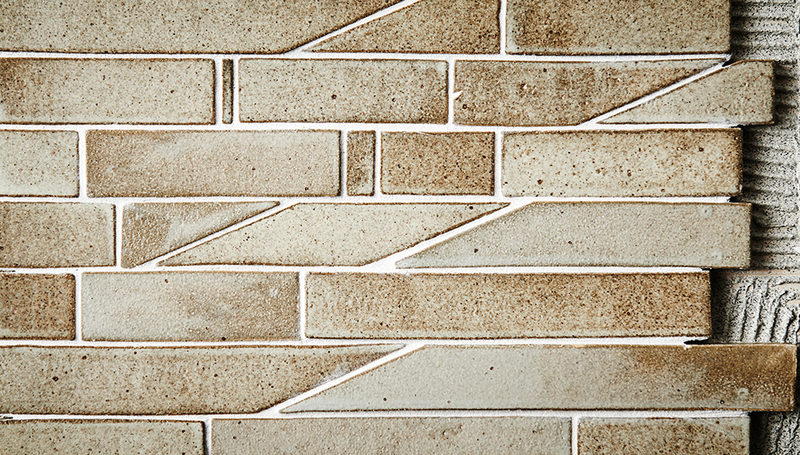 Custom 100 series tile format and glaze finish in a residential project by Clare Cousins Architects. Photo by Lisbeth Grossmann. 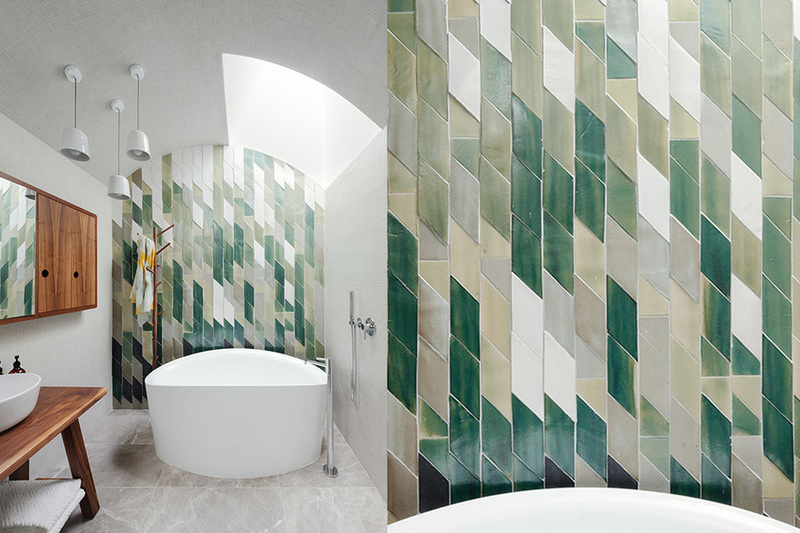 100 Cut Series Tile in grey, green and speckled white glaze finishes inside Randwick House by Day Buhk. The studio is organised loosely into streams of activity that each person at Anchor takes on the primary responsibility to manage. We’re not a big business by any means, but keeping the skills where they are best suited and most needed has been critical in allowing us to grow comfortably as the demand for our products has increased. The people who collectively make up Anchor Ceramics are undoubtedly the biggest single strength of the studio. Practically, we track everything – time, money, emails, orders, stock, raw materials, customers… everything. We use cloud-based tools that for the most part integrate and share information and data with each other. This was a trial and error process to find what suited us best, but now, we have immediate access to information on almost every aspect of the studio. 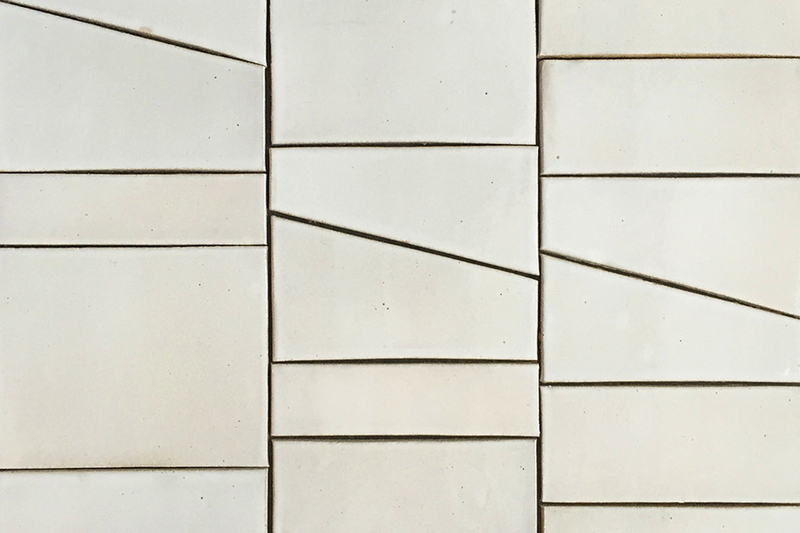 45 Cut series tiles, speckled white glaze finish. Photography by Lisa Cohen. 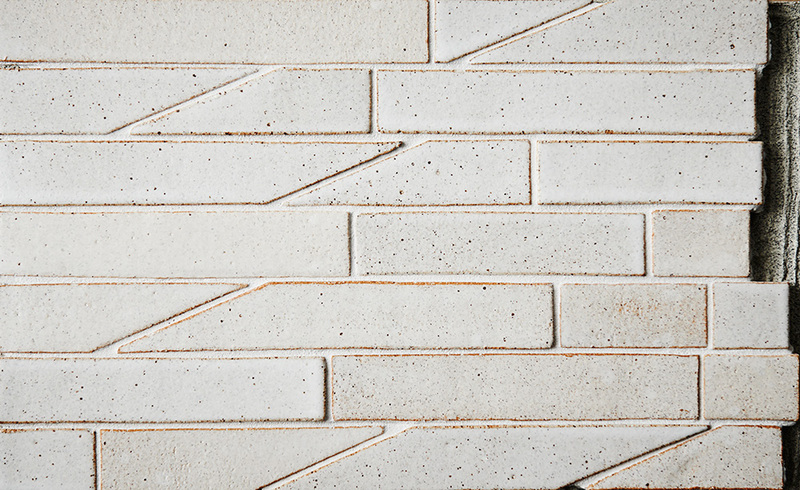 200 Cut Series Tile, speckled white glaze finish. + What do you feel is the most challenging part of running a creative business in today’s age? If you could change one thing about your industry (or running a small business – if you prefer), what would it be? 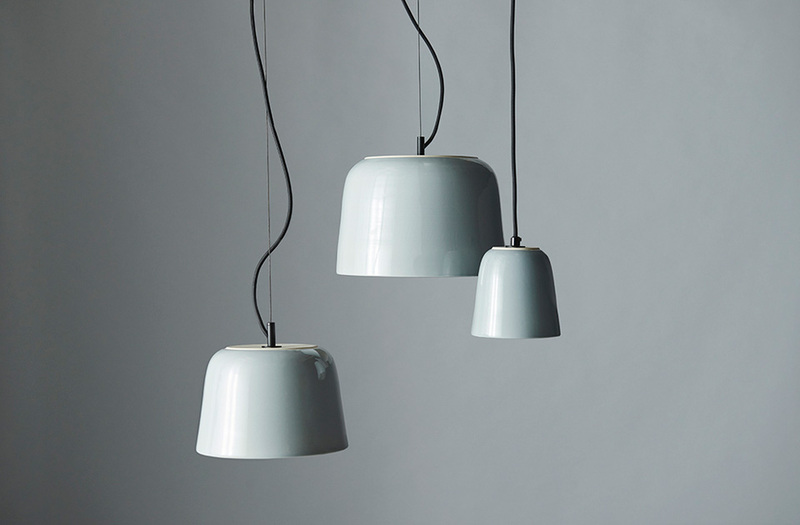 There is a general expectation that the products we buy should be cheap, immediately available and great looking. Only then to be thrown away and re-purchased when fashion dictates or when they (inevitably) wear out. This is, of course, a broad generalisation to which there are numerous exceptions. However, the fact that there is a large industry that thrives on the sale of poorly made, inaccurate copies of well designed, carefully crafted objects just because consumers can ‘buy it now’ and at a fraction of the price of the original is problematic. The short-term nature of this kind of decision making runs counter to good design principles such as quality, longevity, making locally with love and care, and a ‘buy well, buy once’ ethos that sits at the heart of a design studio like Anchor. The hunger for more for less has driven many of our local manufacturing industries offshore and with it a host of skills and services that are no longer accessible in this country. Anchor relies on the production capacity of a small network of specialist makers to meet the demand for its products, without whom the viability of the business would be threatened. Keeping the studio’s production in Australia means we can support these studios to grow as we do. Within our own studio, we employ young practitioners, with whom the skills and knowledge base of Anchor is built upon and transferred. 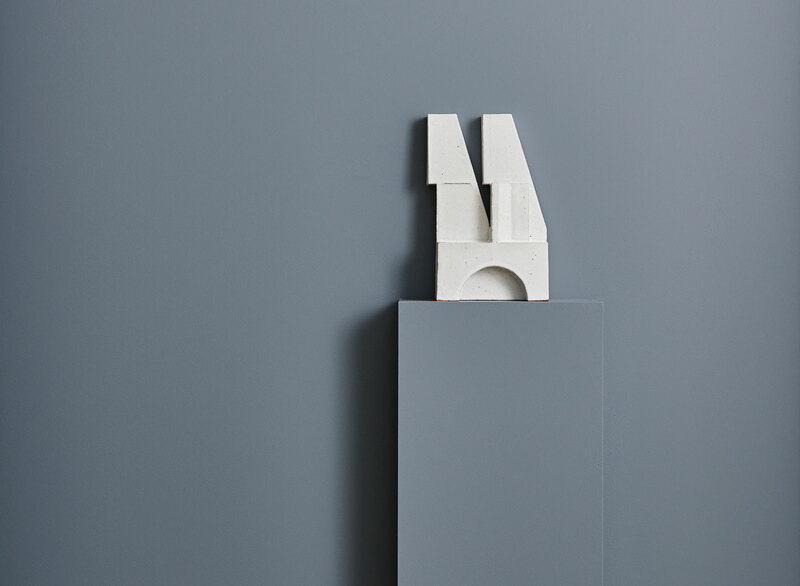 We buy raw materials, services and products from like-minded businesses and collaborate with design firms, architects and a host of other creatives on all kinds of projects. This is not just about the sustainability of the design and small scale manufacturing sectors; when you widen the lens and consider the connected nature of all things, the health of one industry affects all others. Potter Light. Photography by Lisa Cohen. + What are some of your methods to staying motivated, focused and expressive? 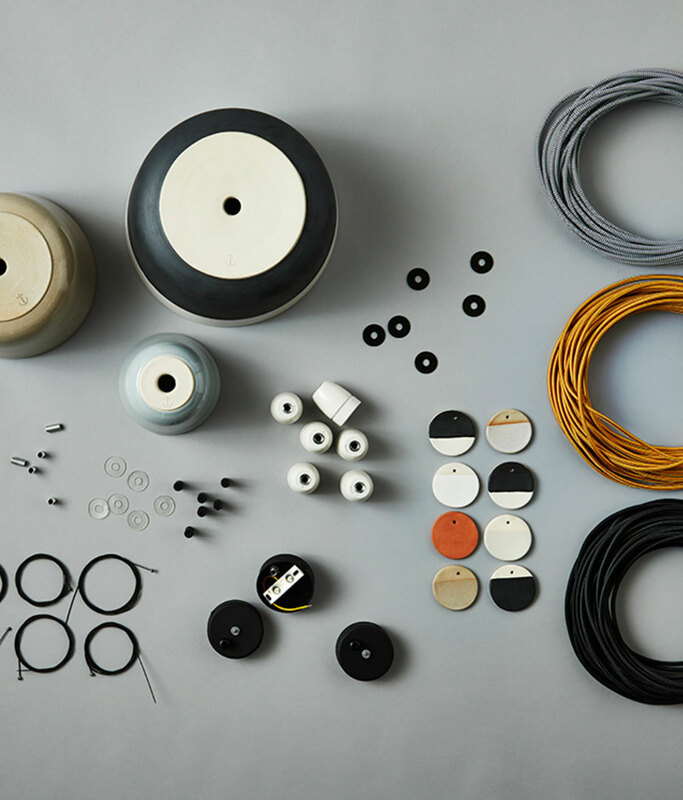 Anchor is the realisation of a decades-long desire to live a creative, studio based existence; one joyfully immersed in the feedback loop between design, material and making. 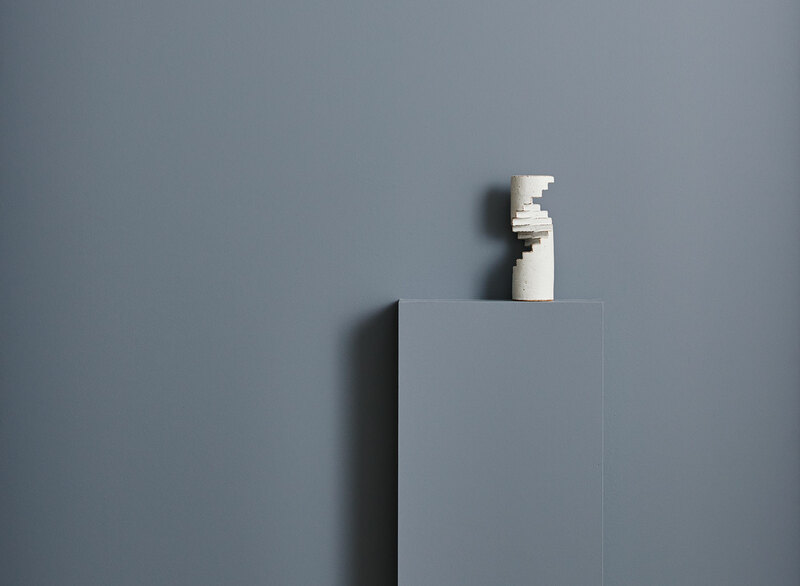 I’m passionate about design and architecture, but ceramics is undoubtedly a calling – it is a ‘must do’ rather than a ‘choose to do’ path. So whilst there have definitely been challenging weeks and difficult projects, particularly as Anchor has grown and the demand for our products has increased, I don’t struggle to find motivation or focus for what we’re doing. In some ways the opposite is more difficult – finding ways to slow down, rest and enjoy the process is where my challenges lie. Fortunately, clay is a wonderful teacher of patience! + And your top 3 main sources of inspiration and references you are drawn to regularly – i.e. books, magazines, websites/ blogs etc? I tend towards experiential sources of input as my creative cycle waxes and wanes. These sources are varied and numerous; art, music but primarily, it is nature that will always be my greatest teacher. 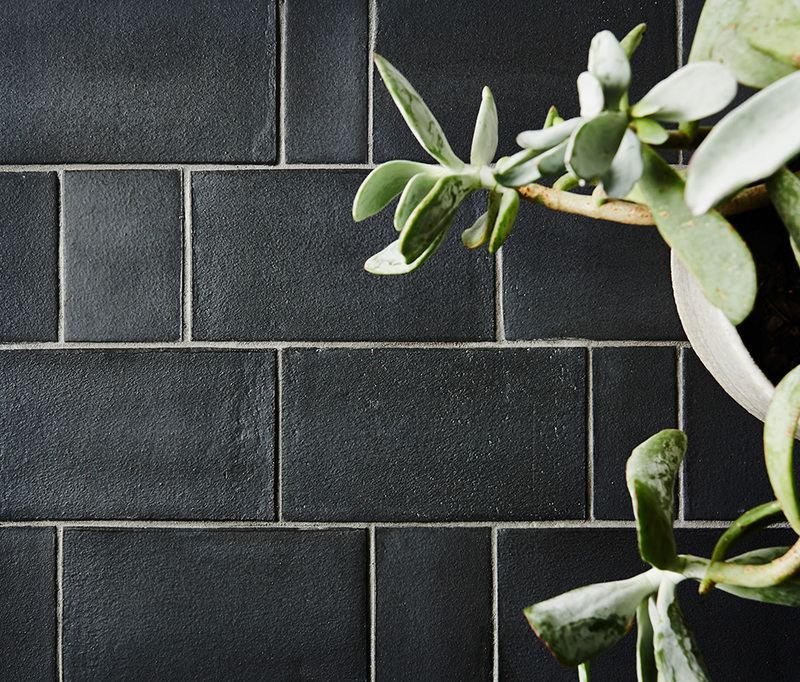 On a direct, surface level the lessons from nature are about light, texture, form, colour, pattern and line. From a less tangible perspective, the lessons are quieter, yet more powerful – change, timelessness and stillness… one of my favourite experiences is driving to the ocean to look out to the horizon line. I have been guided by one key approach to making decisions – if the door is open, go through it and if it’s not, then move on. I learnt this lesson after years of banging my head on closed doors and wondering why my head hurt. It has been surprising to discover what is actually possible when you finally trust your intuition and allow a little faith to guide you. Given that for most of us the pathway to anything authentic will most likely be inherently personal, if I had any advice to offer emerging designers it would be to slow down, listen, and focus on the work… everything else is just everything else. Without a doubt it has been starting and building Anchor Ceramics. My most creatively satisfying project to date has been the making and exhibition of my Structures pieces this year with Hub Furniture. Structures I Exhibition. Photography by Lisa Cohen. I’m not great with rules and I generally try to avoid them where I can – I’m probably more concerned with bending and shaping rules rather than following them. A little stuffed toy fish from my childhood that my Mum made me over 40 years ago called ‘Fish’. Mistakes are an inevitable and necessary part of any creative process – the mistake is typically where the learning lies. Whilst a kiln load of exploded items is painful at the time, it also provides a valuable lesson about patience and allowing work to completely dry before firing it… almost all of the developments of the studio are the product of a lesson learned through a mistake. I really like heist, bank robbery and safe cracking movies. You name it, if it’s got a heist in it, I’ve seen it. 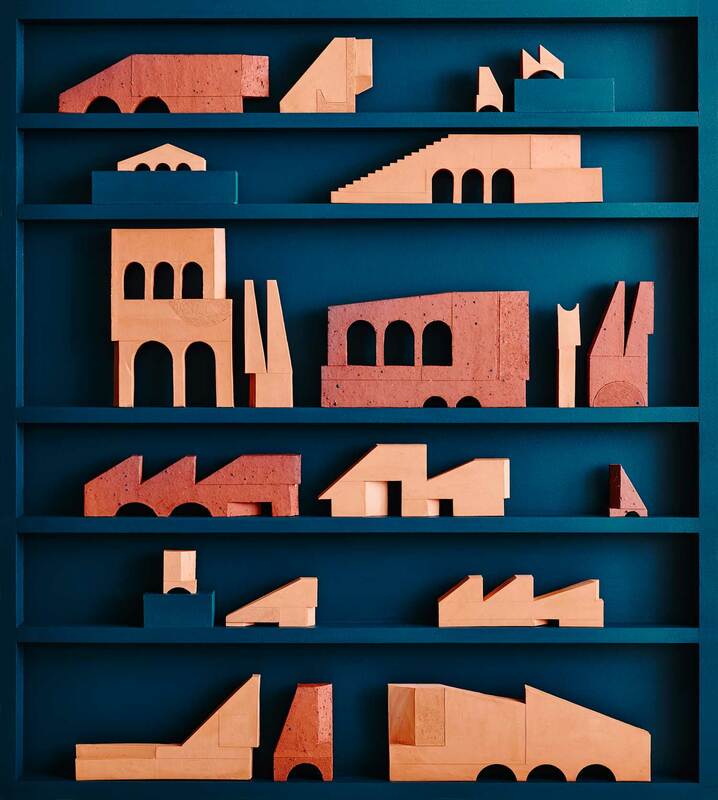 ‘This Building Likes Me’ by John Wardle Architects + Book GIVEAWAY!